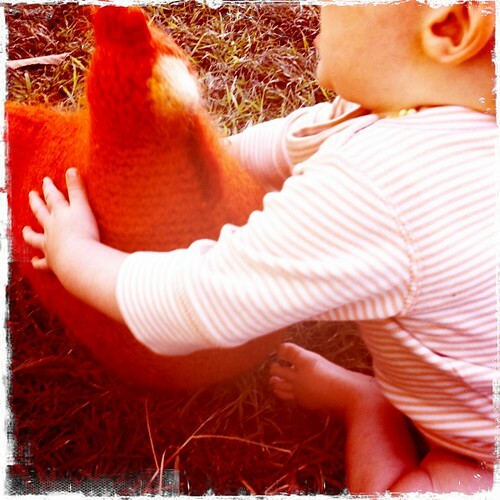 This wonderful knitted/felted chook has been a slightly long time in the making. She missed Christmas, then Mr P's birthday, but arrived to celebrate the last Friday of January!! Oh yay! It was such a fun project, full of ingenious tricks and nifty well thought out design, and is life size, which is extra delightful! bathing in the juice of the rocks!